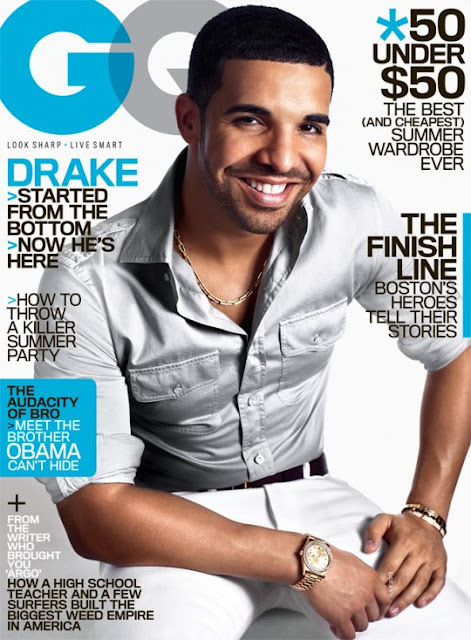 Drake is wearing designer clothing from Tom Ford and Cartier on the latest cover of GQ Magazine (July 2013) which was shot by Mario Sorrenti. 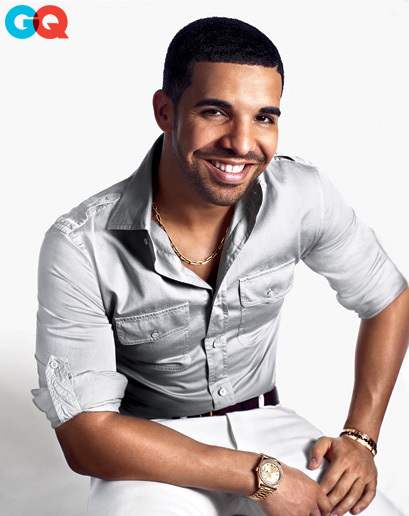 He is also wearing white jeans which is becoming a major trend in menswear. The ‘Started from the bottom’ hitmaker chatted to GQ about Chris Brown, love, wealth, fame and criticism. "I hear he has everything he could want now. I don't want my name to be synonymous with that guy's name. I really don't. I wish we could sit down just like you and me are right now, and talk it out man-to-man. But that's not going to happen. I'm not confrontational, but if someone challenges, I'm not going to back down. If I think about it too much, I feel it wrapping around my foot, like I get a feeling it could end really badly... Like, it gets really dark." "[Will Smith said] 'It's not about wanting anymore, you need that person.' Hearing that, I don't know if I've ever felt that way... I've made a lot of music about love being the only thing I'm missing. I think this is the first album I've made saying, 'I'm ok, I'm enjoying it now.' Maybe this is my time to grind it out, make a run for it, and add some memories with my boys." "You notice they don't criticize the music itself, though... I'm ok with that."